Product prices and availability are accurate as of 2019-04-21 00:55:22 EDT and are subject to change. Any price and availability information displayed on http://www.amazon.com/ at the time of purchase will apply to the purchase of this product. 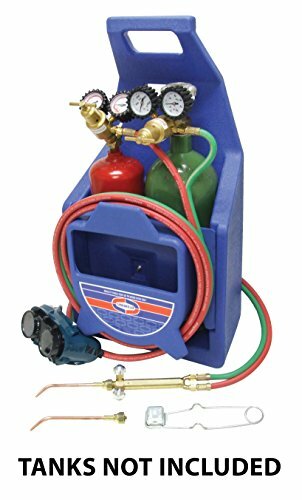 Uniweld KC100P Centurion Brazing and Welding Outfit w/Plastic Carrying Stand is a professional contractor grade outfit for welding up to 1/8 inch steel and brazing up to 1 inch copper tubing with supplied tips. Capabilities can be expanded with a cutting attachment and other tips and accessories purchased separately. The outfit includes a rugged molded plastic carrying stand designed to carry a 10 cu. ft. (MC) acetylene tank and 20 cu. ft. (R) oxygen tank. (Tanks Not Included - Sold Separately) Outfit Includes: Part No. Type17-0 Welding/Brazing Tip for brazing up to 1/2 inch copper tubing and welding up to 5/64 inch steel, Part No. Type17-2 Welding/Brazing Tip for brazing up to 1 inch copper tubing and welding up to 1/8 inch steel, Part No. 71 Welding Handle with front valves for finger tip control, Part No. 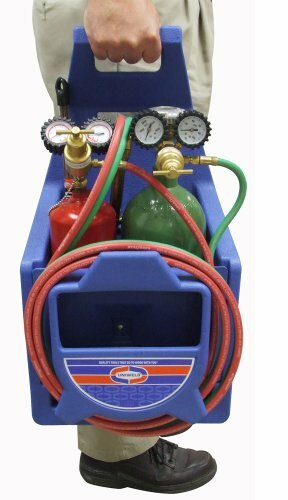 RO100 Oxygen Regulator with protective rubber gauge boots and rear CGA540 inlet connection, Part No. 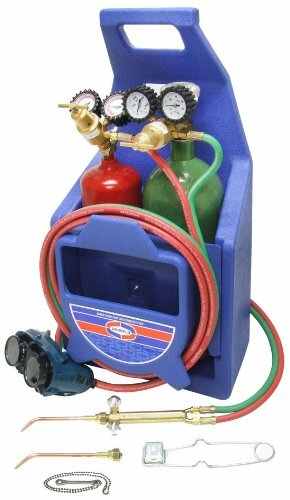 RMC100 Acetylene Regulator with protective rubber gauge boots and CGA200 rear inlet connection, Part No. H32A 12.5 Ft. Twin Hose, Part No. WG53 Welding Goggles with flip up lenses and are designed to accommodate prescription eyewear, Part No. FL34 Flint Lighter, Part No. WO5 Tank Key with Security Chain, Part No. 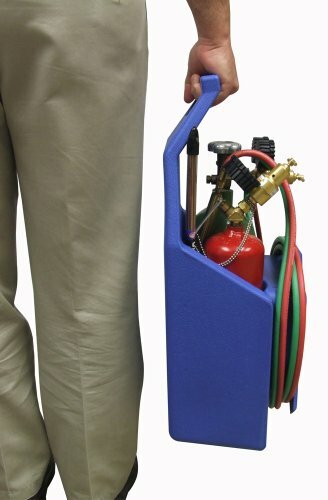 511 Plastic Carrying Stand with storage compartment and brazing rod holder designed to carry a 10 cu. ft. (MC) acetylene tank and 20 cu. ft. (R) oxygen tank (Tanks Not Included - Sold Separately).